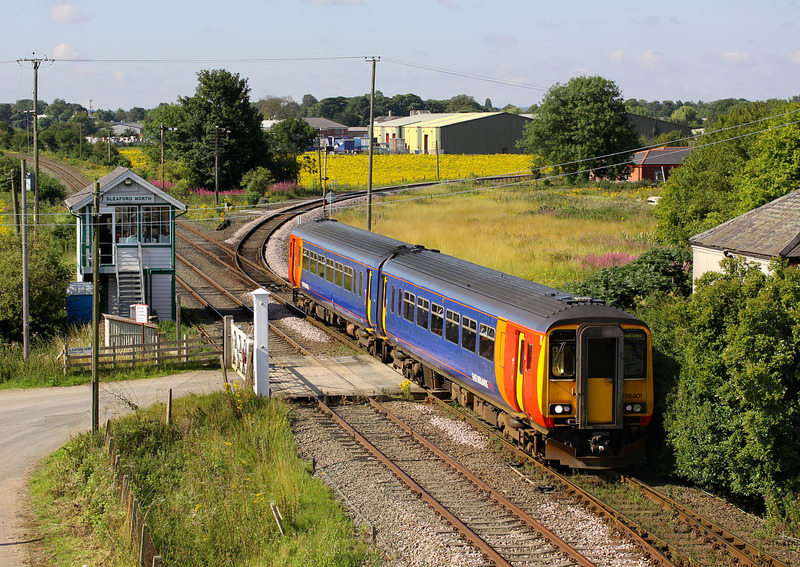 156401 passes Sleaford North Junction with the 08:33 Peterborough to Lincoln Central East Midlands Trains service on 25 July 2009. The train has just traversed the sharply curved line on the right, the double track line on the left being the Sleaford by-pass line, which is little used by passenger trains. It is a pity there isn't a practical use for ragwort, as not only is there a bumper crop in the field in the background, but there was an even larger field of this pernicious weed just to the left of this picture!